Dogs are like children, especially puppies. They are very curious, constantly moving, trying to know all aspects of the world. That's why dog training should be a huge part of your interaction with the pet at least for the first few months. If you are a dog lover and run your own dog training club, you will likely want to share your experience with others and this theme will perfectly fit this purpose. Its strong visuals stir up audience emotions, minimalist layout makes the site userfriendly, and simple horizontal navigation bar simplifies the way people can find all necessary information. Thanks to the clever use of negative space, users won't get distracted, but focus attention on the things that matter your services, events calendar, news, etc. This design will turn your web resource into the number one spot for dog training, care, and nutrition. 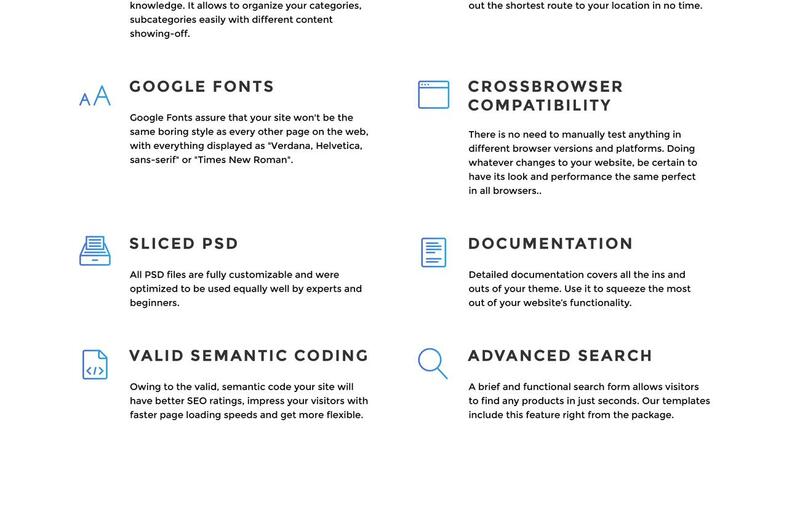 Thanks to Bootstrap, you could develop totally responsive internet resources utilizing HTML and CSS based templates for typography, fonts, forms, buttons, tables, and many more. Responsive layouts adapt to more compact as well as the larger display screen dimensions promptly. Mobile phones generate 80% of world Internet utilization. It's important to design your web page responsive in the event you do not desire to reduce your own projected audience. Search engine friendly is a design that helps to easily crawl and index the website. Search Engine Friendly web templates will help you enhance your web-site rating in search engine final results. I would like to make payment for Joomla theme for Dog Breeders by company check. Is that possible? Please use Skrill payment option. They accept payments by check.You can place an order for Joomla theme for Dog Breeders on the site under the name of the company and choose Skrill merchant system for making payment from the company's account. To initiate bank transfer, please create an account here - www.skrill.com, add the number of your bank account and verify it. After that, you can place an order on our website and choose Skrill on checkout page. When the payment is made, the product will be sent to your e-mail along with the invoice under the name of your company. Can I put a line at the bottom ( or any other spot) of the customized Joomla design theme for Dog Kennel "Website design by Company name"? No, you cannot place a line at the bottom ( or any other spot) of the customized Joomla design theme for Dog Kennel saying "Website design by Company name". Nevertheless, you can place "Customized by Company name". Will the Joomla template for Pet Store be deleted from TemplateMonster database? No, the Joomla template for Pet Store will not be deleted from TemplateMonster database. Can I apply a discount code to a discounted Joomla design for Pet Accessories Store or combine several discount codes together to get better price? Will TemplateMonster help me to edit my Joomla design for Animals and Pets Store? TemplateMonster offers you a variety of sources to help you with your Joomla design for Animals and Pets Store. Use our comprehensive Online Help Center to get the basic knowledge about your Joomla design for Animals and Pets Store. Our Knowledgebase contains customers questions and most frequent problems. Anyway, you can always use TemplateMonster 24/7 phone support, try our Ticket System or Live Support Chat to get qualified assistance from our support representatives. I ordered a Joomla theme for Online Pet Store but haven't received the download information. In case of not receiving the download information of a Joomla theme for Online Pet Store, please contact our Billing Department via support chat by phone or e-mail. 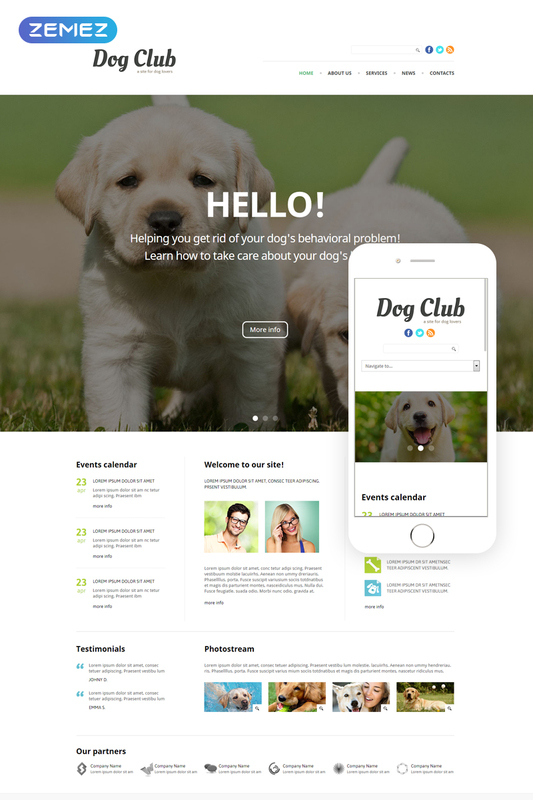 Can I resell the customized Joomla theme for Dog Lovers? No, you cannot resell the customized Joomla theme for Dog Lovers as a template but you may sell it as a project to your client (see paragraph 1 ONE TIME USAGE LICENSE for more details). What is Developers License for Pet Hotel Joomla template? If you purchase a Developer's license, you are granted a non-exclusive permission to use the Pet Hotel Joomla template on up to 5 domains for projects belonging to either you or your client. What is a one time usage license for a Joomla template for Animals & Pets Shop? When you buy the Joomla template for Animals & Pets Shop at usual price you automatically get the one time usage license. It enables you to use each individual product on a single website only, belonging to either you or your client. You have to purchase the same template again if you plan to use the same design in connection with another or other projects. When passing files to your client please delete the template files from your computer. Are your Joomla designs for Pet Clothing Shopcompatible with any CMS? What do I receive when I order a Joomla design theme for Pet Accessories Shop from TemplateMonster.com? After you complete the payment via our secure form you will receive the instructions for downloading the Joomla design theme for Pet Accessories Shop. The source files in the download package can vary based on the type of the product you have purchased.If you need unzipping software to open the .zip archive, Windows users may visit www.WinZip.com, Mac users may visit www.StuffIt.com. Can I get the extended license for some other pricing than the half of the initial Pets Supplies Joomla design theme price? No. The price for purchasing license for a single Pets Supplies Joomla design theme is the half of the template unique price. Are there any restrictions for using imagery, cliparts and fonts from the Animals and Pets Joomla design theme I purchased? All imagery, clipart and fonts used in Animals and Pets Joomla design theme are royalty-free, if not stated otherwise on the product page, and are the integral part of our products. One Time Usage License and Developers License give you the right to use images, clipart and fonts only as a part of the website you build using your template. You can use imagery, clipart and fonts to develop one project only. Any kind of separate usage or distribution is strictly prohibited. Is it possible to reactivate my download link for Pet Food Store Joomla design if it was deactivated after 3 days? Yes. Please re-activate the download link for Pet Food Store Joomla design within your account under the Downloads tab or contact our billing department directly regarding that. Can I customize the Joomla design for Dog Adoption Center if that's required by application settings? Yes, you can customize the Joomla design for Dog Adoption Center code, graphics, fonts to any extent needed. Are there any discounts if I'm buying over 10, 20, 30 or more Joomla theme for Animals and Pets Shop? Please email to marketing@templatemonster.com with your inquiries about Joomla templates for Animal Shop. Is it possible to buy the particular image from the Pet Sitting Joomla design? No. According to our Terms and Conditions we never sell the images separately from Pet Store Joomla themes (as well as the templates separately from the images). Is it possible to use your Joomla themes for Pet Accessories Store to develop websites for my customers? Yes. It is perfect for designers who want to offer their customers a high-quality design and also save time and money. Keep in mind that when you purchase the Joomla design theme for Pet Boutique with ordinary or exclusive license you're entitled to create only one project (one domain name). Can I put a line at the bottom (or any other spot) of my new product "Website development by Company name" after purchasing Pet Animals Joomla design? Yes, you can place a note at the bottom (or any other spot) of my product "Website development by Company name". Nevertheless, you cannot place "Website design by Company name" while using one of Pet Animals Joomla design. Can I resell the Joomla themes for Pet Lovers Club I bought the extended license for? No, you cannot resell the Joomla themes for Pet Lovers Club as is. You can only sell them as the integral part of your new product. Can I resell the Joomla theme for Pet Lovers Portal as is? No, you cannot resell the Joomla theme for Pet Lovers Portal as is. I had a few questions and the live support helped me perfectly!